Zuma Beach, One Of The Best Beaches of LA County, Malibu. Zuma Beach is one of the largest, cleanest and well supervised beaches in the LA county. It most likely has the cleanest water and the best sand as well. What more could you ask for in a beach so close to such a popular area as Malibu? Zuma Beach is known for a variety of activities that suit many members of the family. 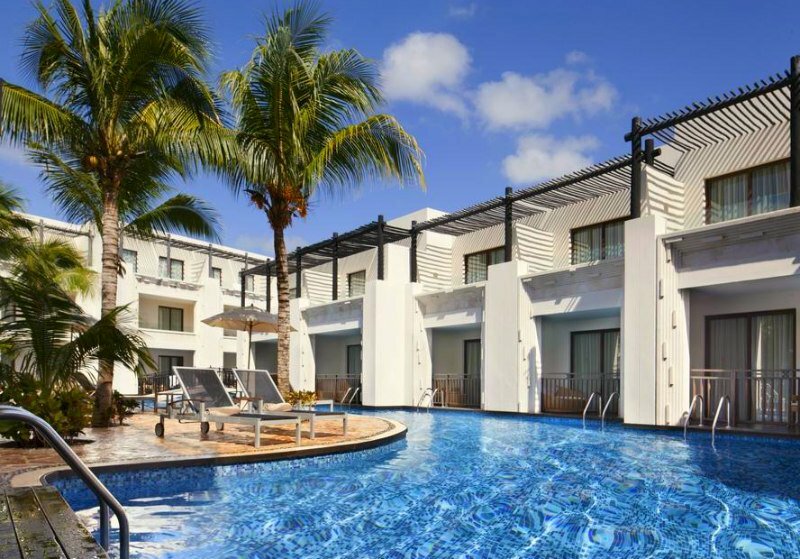 It has good wheelchair access making it great for elderly or challenged persons to still enjoy the fresh sea breeze. There is a long boardwalk that extends much of the length of the Zuma Beach which is 2.7 miles (4.3 Km.) long. This boardwalk (like many﻿) is perfect for romantic walks as you enjoy the sunsets and even sunrise from this South facing beach! Weekdays are best since weekends are extremely busy. Windsurfing and kitesurfing are becoming more and more popular along Zuma Beach since the wind conditions in the area are excellent for these ever growing sports. The north end of the beach is recommended for this water sport. Of course what would be the point of this beach if it was not a popular beach for surfing? This area is known worldwide for its excellent variety of surfing events each year. Here is the surf conditions from Surfline! ﻿This Malibu beach strip which includes Point Dume, as well as Westward Beach. All three are among the top ten things to do in Malibu ! It is well known for many films including Planet of the Apes, Baywatch, and the beloved I Dream of Jeannie! Zuma Beach is also well known for the Malibu Nautica Triathlon in which movie stars, singers and television stars are known to participate and contribute to funds raised to the Children’s Hospital of Los Angeles. This is a yearly event for a very worthwhile cause. In line with the kids they have also featured sand castle building competitions. •﻿ You will easily find restrooms, change rooms and showers. ﻿• With over 2000 parking spaces it is easy to find parking during the week and off season. Pay parking is in﻿ effect and strictly enforced. • No pets are allowed on the beach. If you are looking for a pet friendly beach we suggest Leo Carrillo Beach just a few miles away. • All California beaches are alcohol free (not allowed). All beaches are strongly enforced. • As with any visit to any beach we suggest the use of proper and comfortable beach footwear. •﻿﻿ Ensure to check with lifeguards on duty for safest and best areas to do any activity. Rip tides are extremely dangerous on any ocean beach. 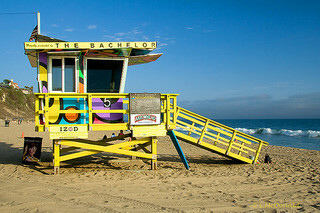 You have 14 lifeguard ﻿stations to choose from! Located within 10 miles (16Km.) to Leo Carrillo Beach are two well rated beachfront hotels which are also close to Malibu. Away from the hustle and bustle of Los Angeles these beachfront hotels will help you relax on your Malibu beach vacation! The Malibu Beach Inn is a boutique beachfront hotel located on a lovely little beach known locally as Billionaire's Beach. 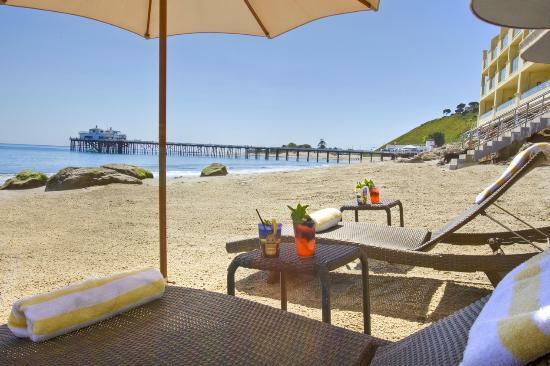 This Malibu beach hotel offers rooms with balconies to enjoy romantic sunsets. You will definitely enjoy dining on the deck of the beachfront restaurant. They also offer an on-site spa services to kick off your Malibu beach vacation! The Casa Malibu Inn on the beach is a smaller beach resort on a private beach. This beachfront hotel offers kitchenettes, free breakfast, and of course a beautiful sandy white beach which also offers sunsets and sunrise. A beautiful beach﻿front vacation rental may be the ideal solution for your Malibu beach vacation if you are planning to have a family or group California beach vacation.﻿ Beachfront vacation rentals can be luxurious or may save families and groups money while offering all the conveniences of home. Whatever accommodation you may choose we wish you a very happy and memorable Malibu beach vacation! Rentals: Looking to rent some surf equipment or get surfing lessons and more? Try some of these locations. Dining: There are also a wide variety of restaurants and food stands in the area offering everything from concession food to gourmet if you look for it close by. Generally though we suggest planning for meals since looking for a good restaurant takes away from precious beach time! Want to find the best restaurants in a hurry? 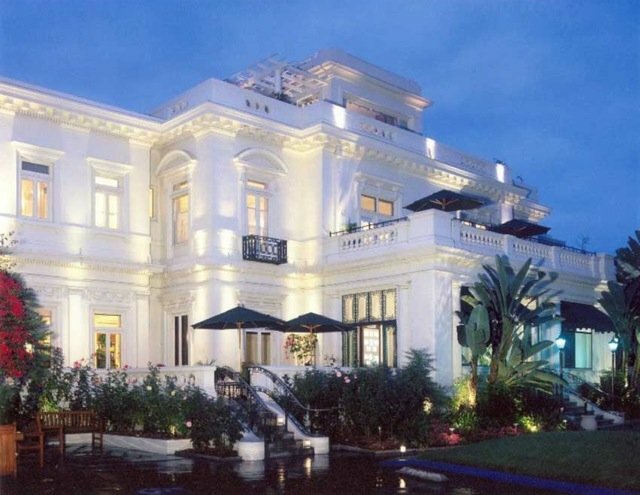 Here are two excellent sites to help you with your search for a great restaurant in Malibu. TripAdvisor restaurant reviews Malibu and Yelp restaurant reviews Malibu. Weather: General weather conditions in Malibu are Sun, with more sun in the future. Basically there is no need for a weatherman from May to October since this area (according to history stats) ranges from 1 to 2 days of rain with much lower probability of rain in the months between! Start planning: To the right you can input your travel date to see history of weather. Here is the Los Angeles yearly average to help you plan your vacation long term. Here is the current beach weather at Zuma Beach.